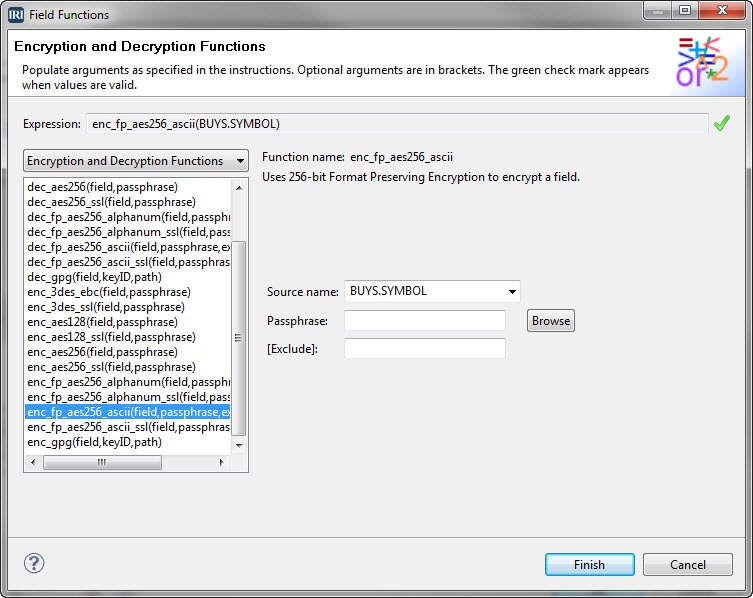 This dialog is applying format-preserving encryption to the "BUYS.SYMBOL" column in a data source. This dialog supports all the built-in encryption and decryption functions which can be applied at the field level, with or without explicit encryption key phrases. Additional encryption functions or keys, as well as data masking, hashing, encoding, de-ID, pseudonymization, and other FieldShield protection functions, can apply to multiple fields at the same time.